As a reaction to real estate development that’s often out of touch with local wants and needs, former developer Ben Miller created an online crowdsourcing platform called Popularise to give people a way to influence how their neighborhoods take shape. 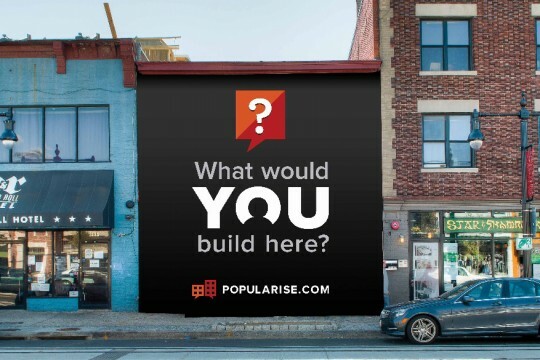 Launched in Washington, D.C., with other city editions in the works, the website invites the public to suggest businesses they’d like to see occupy vacant storefronts in their neighborhoods and to offer feedback on impending projects. Builders can post descriptions and photos of projects in the works, and solicit community input. With many cities confronting the same problems, such as empty storefronts or shopping strips filled with big-chain retailers, Popularise facilitates “a new way to develop authentic places” that draws from the power of the crowd.